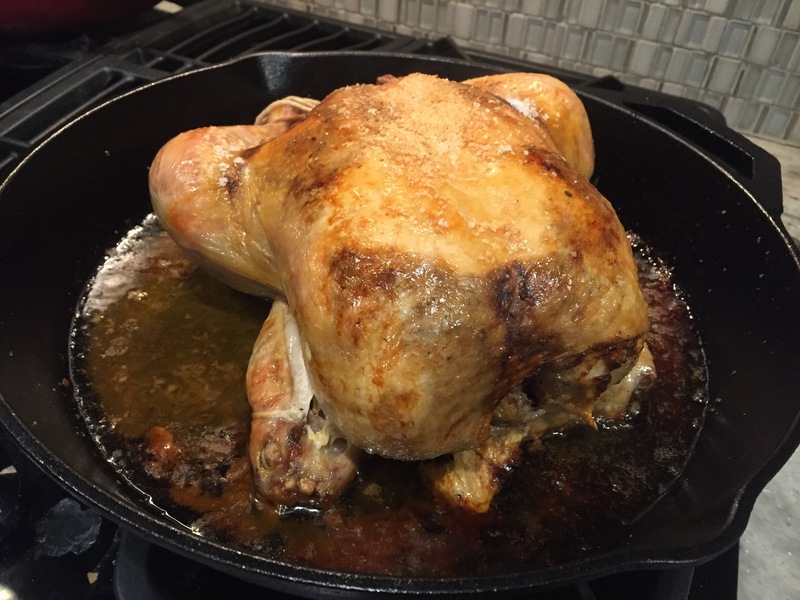 I roast a chicken or two almost every week. It’s super easy, super delicious, and gives us leftovers for another meal. That’s a lot of delivery for a pretty cheap ingredient. Often, I roast two chickens since it doesn’t take any more time to do so and then we get a couple of meals out of them. Plus soup! Because, man, homemade stock is just the best. More on that later though! This is one of my favorite “recipes” for roasting. 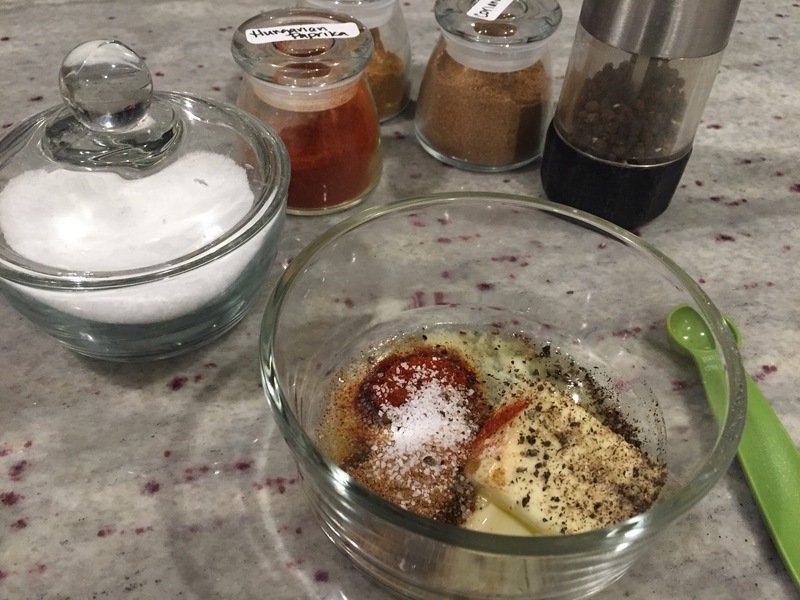 It’s just a butter and spice mix but it’s really flavorful and I’ll bet you have these spices in your kitchen right now. After mushing the spices under the skin, roast for about an hour to an hour and a half in a hot oven. Bam. Roast chicken. Perfect every time. Preheat oven to 425. 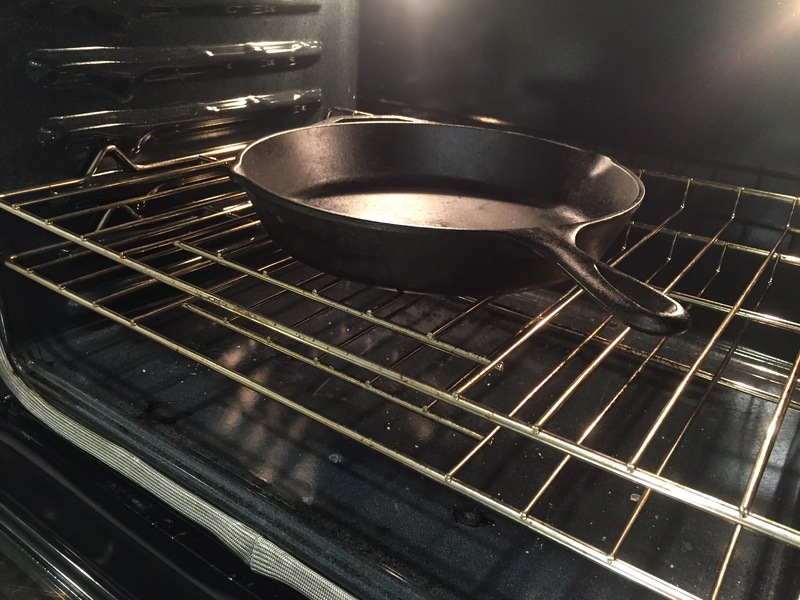 Place a 12 inch cast iron skillet in the oven to preheat. Combine the butter (zap it in the microwave for 10 seconds to get it workable) with the spices (except the salt for the skin). Make a paste and set aside somewhere you can get with gross chicken hands. Prep your chicken by patting the skin dry with paper towels then sliding your fingers between the skin and meat in as many places as you can on the breast and legs. Smoosh the butter mixture between the skin and meat. 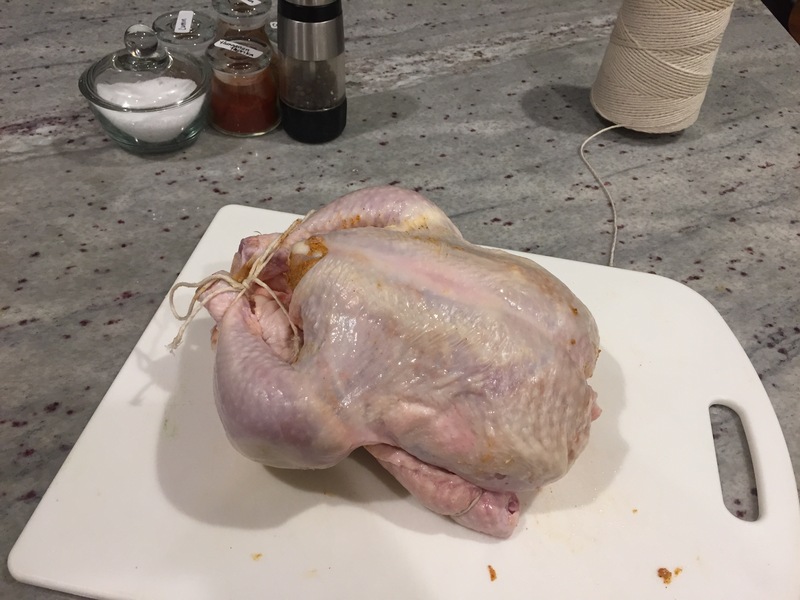 Truss the chicken (or just tie the legs together. Sprinkle the surface with about a tablespoon of salt. 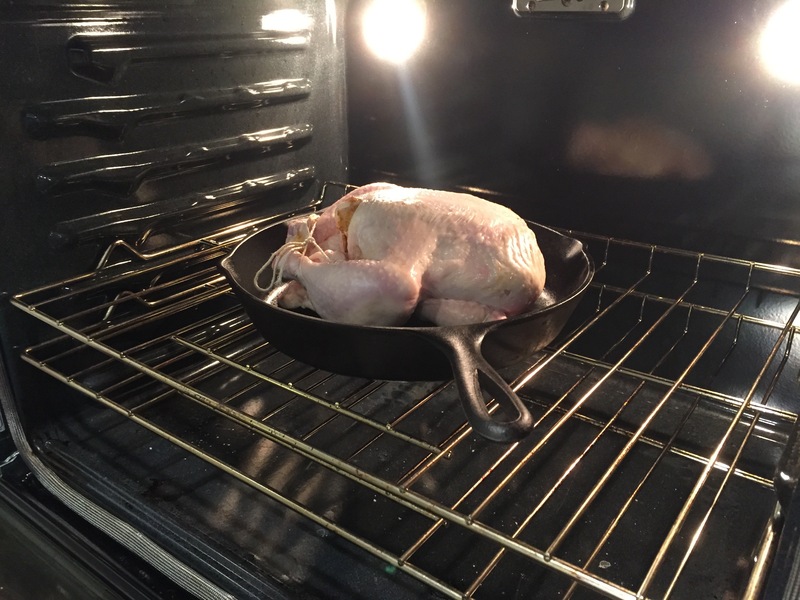 Place the chicken breast side up in the preheated pan in the oven. Cook for 15 minutes, then turn and reduce the heat to 350. Cook until the chicken reaches 165. Allow the chicken to rest 15 minutes before carving.